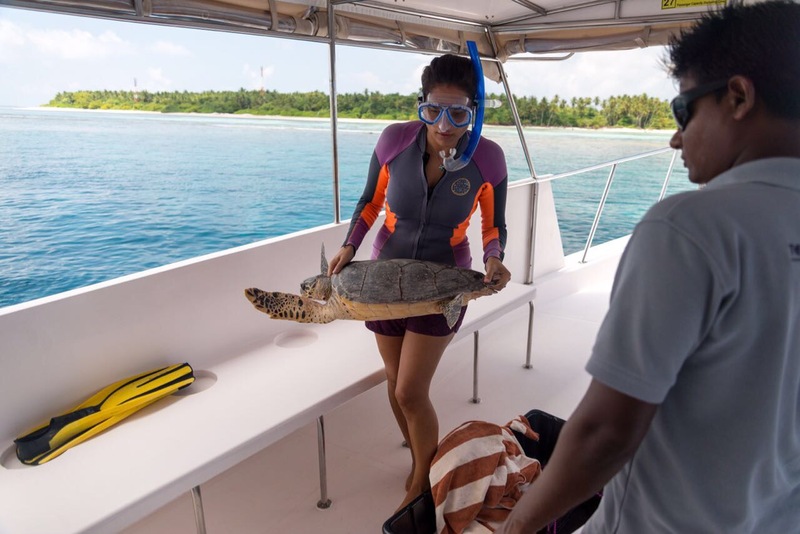 Ali Jappo is a 55 cm juvenile female Hawksbill Turtle who was found with a longline fishing hook in her neck by Amilla Fushi resort. 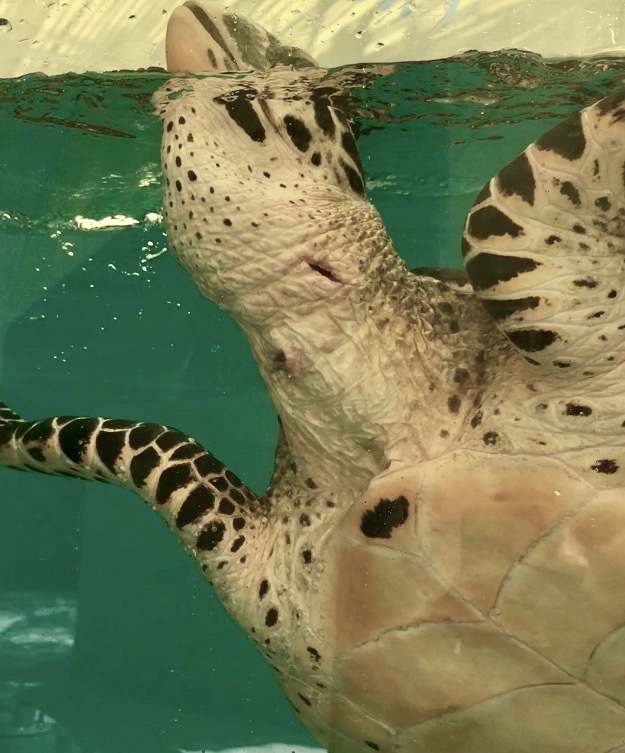 Ali Jappo recovering in the rescue centre tank. 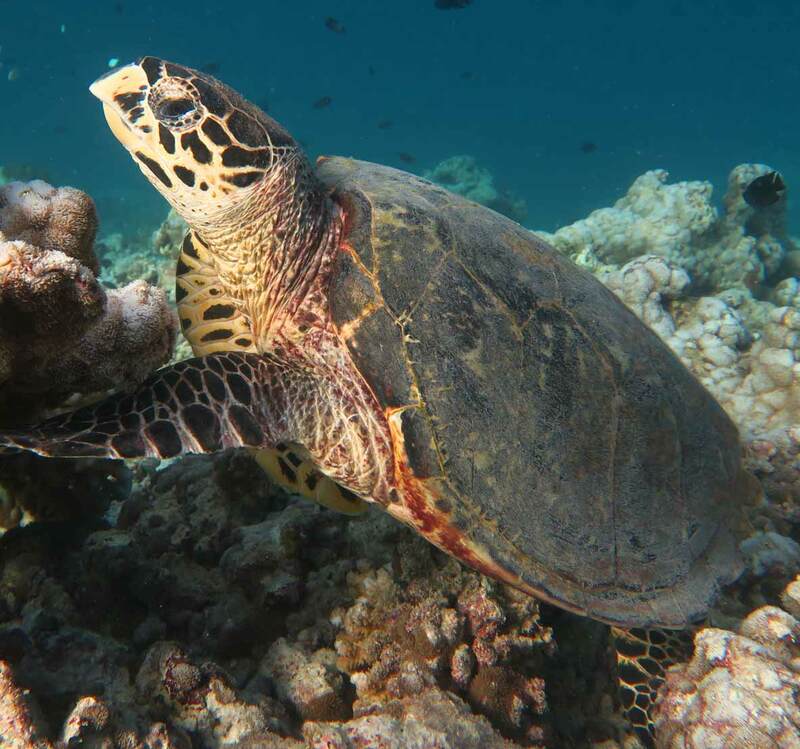 Ali Jappo (HK2295) was first photographed by Lauren Arthur of Amilla Fushi, on 23 October 2015. 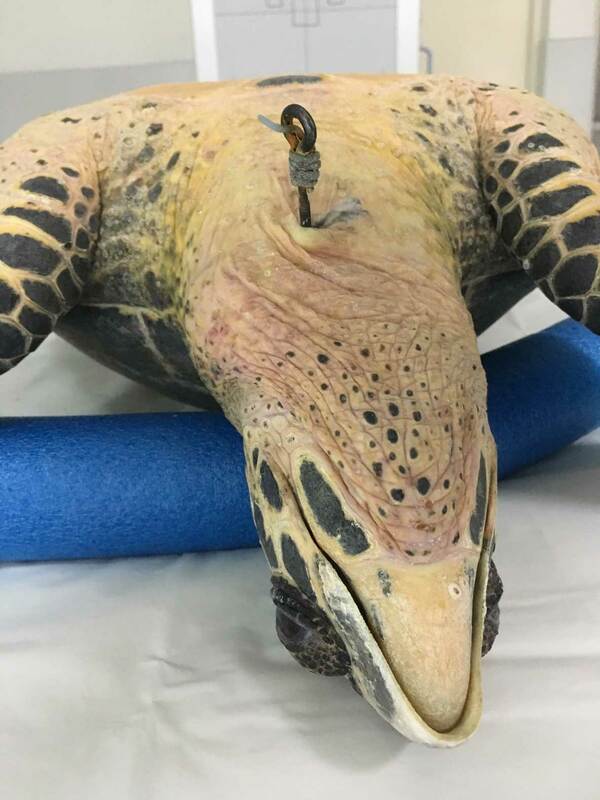 On the 20 February 2017, she was found with a longline fishing hook in her neck, also by Amilla Fushi. 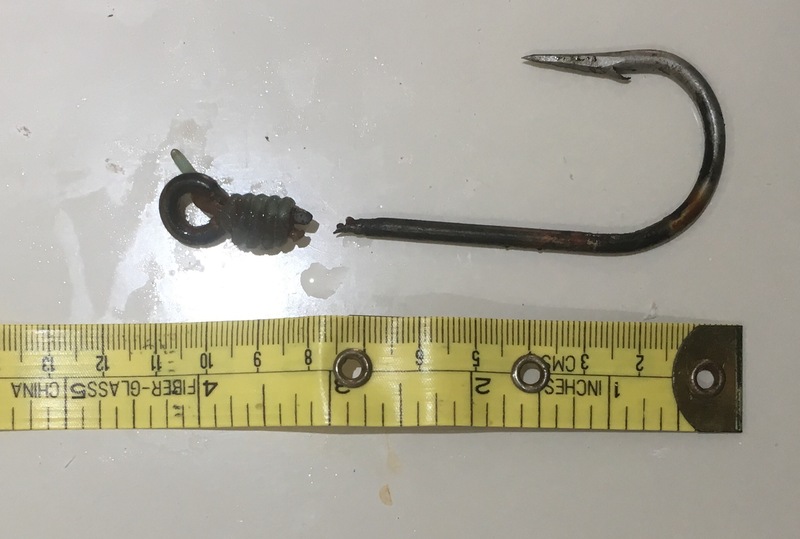 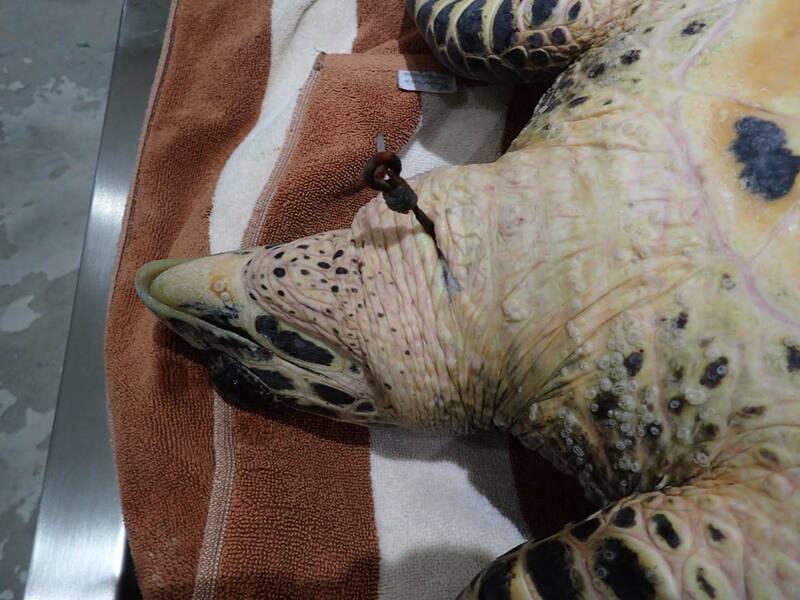 Ali Jappo was transported to Eydafushi for x-rays and the next day she had a successful operation to remove the hook. 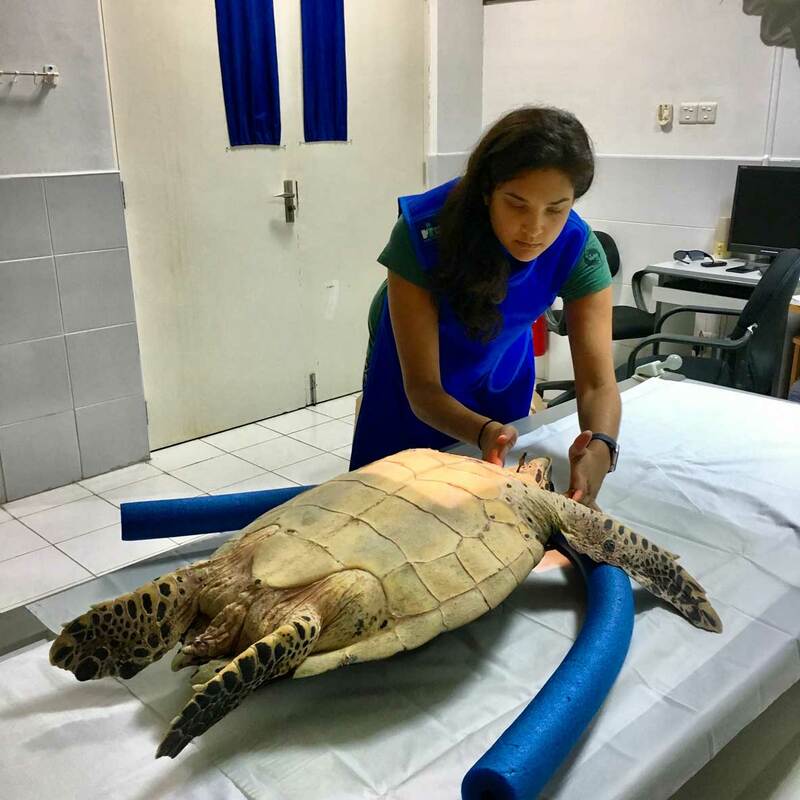 She recovered after a course of antibiotics and was successfully released on 3 March 2017, near her home reef, Baa Dhonfanu.